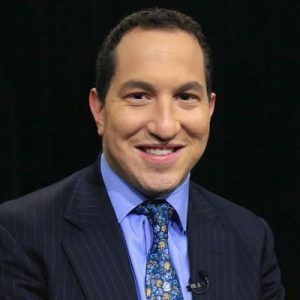 Mr. Heffner is coauthor of A Documentary History of the United States (Penguin, 2018), and he has covered American politics, civic life and Millennials for leading newspapers and magazines. He founded and edited the first-ever online national student newspaper covering the 2008 presidential campaign and the Obama presidency. His work has been profiled in The Washington Post, The New York Times, and The Los Angeles Times, and he has lectured at the Kinder Institute for Constitutional Democracy at the University of Missouri, The Post-Truth Initiative at the University of Sydney, and the Center for Information and Bubble Studies at the University of Copenhagen, among other institutions of learning. He directed a civic education initiative for which he taught under-served classrooms and was the political director for WHRB 95.3 FM. A native New Yorker, he is a graduate of Phillips Academy in Andover, Massachusetts and Harvard. The Department of Writing and Rhetoric and the Division of Diversity and Community Engagement are excited to sponsor the public lecture entitled “Civil Discourse in an Uncivil Age” on Thursday, March 21, 2019 from 6:00-7:30pm in Fulton Chapel on the Oxford Campus. The lecture is open to the public. In addition to the public lecture, Mr. Heffner will meet with various faculty and student groups during his time on campus to discuss civil discourse further.